Are you looking for the best Bandung travel information? Do not go any further as you have found what you are looking for! We provide not only the most complete and thorough information about traveling to Bandung, but we also give you a lot of information regarding what you should you and what place you should avoid during your travel in Bandung. The first thing you should be aware of when you consider traveling to Bandung, West Java, is that not many people can speak English or any other foreign languages. Only some of the older generations know how to speak Dutch or a little English. So what should you do then? Simply book a local Bandung tour, and they would be happy to provide you with everything you’ll need, starting from the accommodation, transportation, driver, English speaking tour leader, admission tickets to tourism objects, everything! They also give you very reasonable price for the Bandung tour packages. Another thing you should know about Bandung travel tip is to avoid those local guides at the active volcano in northern part of Bandung. Many tourists have reported how those local guides pissed them off and literally have ruined their holiday. So simply ignore them if they follow you or try to sell things to you. 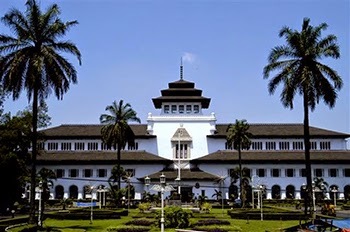 There are many reasons why many travelers come to Bandung. One of the most popular reasons is to shop for good quality goods yet with very low prices. But you must also be very careful since there are some shops which are to avoid since they always try to mark up the price high to foreigners, so you had better visit only shops that your Bandung travel agent suggests you. What about food in Bandung? Don’t worry. You will be spoiled with so many kinds of delicious food during yourBandung travel adventure. Just let your tour guide bring you to the best place for dining in Bandung. What about tipping? Don’t worry about tipping. Unlike in Western countries and any other countries, tipping is actually not compulsory in Indonesia. However if you feel like giving the tour guide or the driver some tips, please do, and I am sure that they would not reject it, either. But you have to check the tour itinerary first. If tipping is a must, so you have to give them some tips, too. So if you plan to come to Bandung, simply contact your Bandung travel agent and let them arrange everything for you!